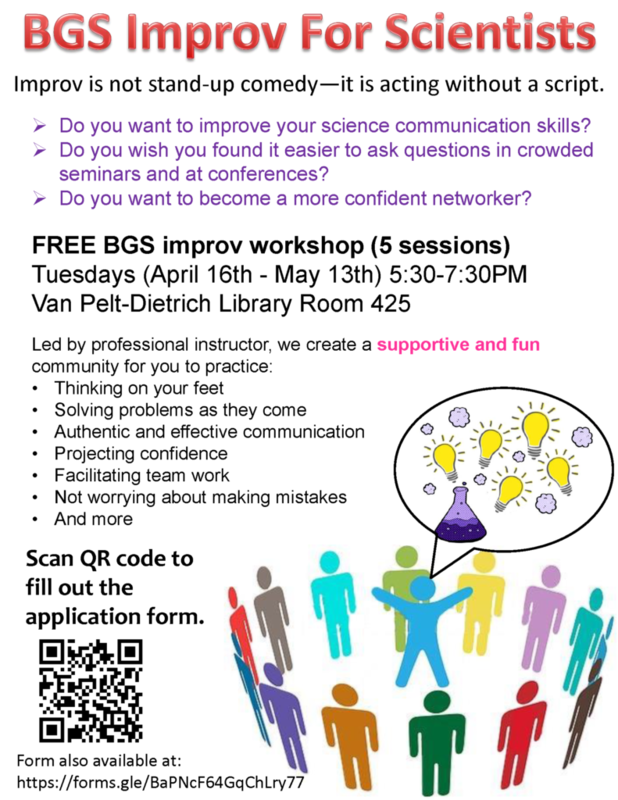 Do you want to improve your science communication skills? Do you wish you found it easier to ask questions in crowded seminars and at conferences? Do you want to become a more confident networker? If you answered yes to any of these questions, then you should attend the free BGS improv workshop in April and May. Improv is not stand-up comedy; it is acting without a script. It’s about think on one’s feet, solving problems as they come, authentic and effective communication, projecting confidence, facilitating team work, and not worrying about making mistakes. 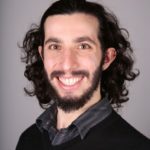 These are transferable skills that we need both in the lab and when communicating our science to our colleagues and the public. This 5-week workshop, led by professional instructor Sharon Geller, will provide a supportive environment for us to explore the improv techniques, stretch our communication muscles, and more importantly, have FUN! Handshake is Penn Career Services’ primary tool for communicating with students. All students have been pre-assigned a Handshake account, but you will need to activate it by logging in with your PennKey and password. 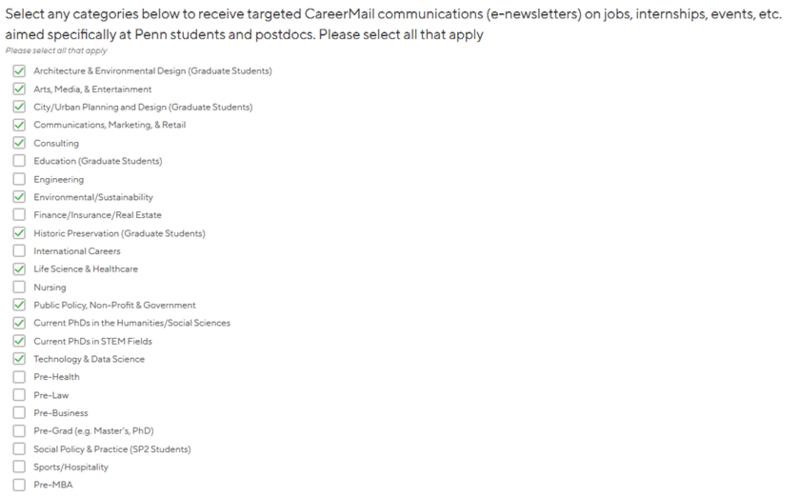 The next two sections are the most important ones for the job postings Career Services sends. 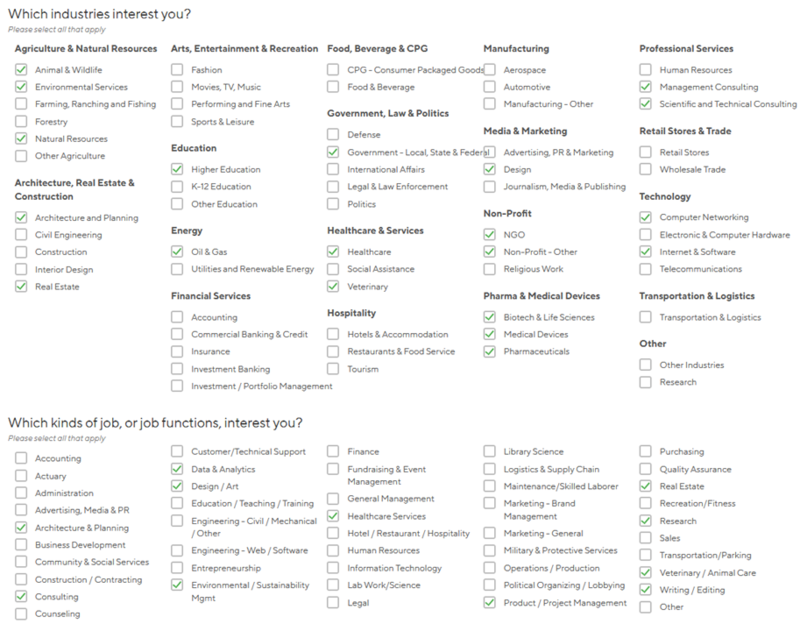 You should select “Biotech & Life Sciences” and “pharmaceuticals” if you are interested in industry opportunities. You can select “higher education” if you want to follow the faculty path, and you should select any other field of interest. 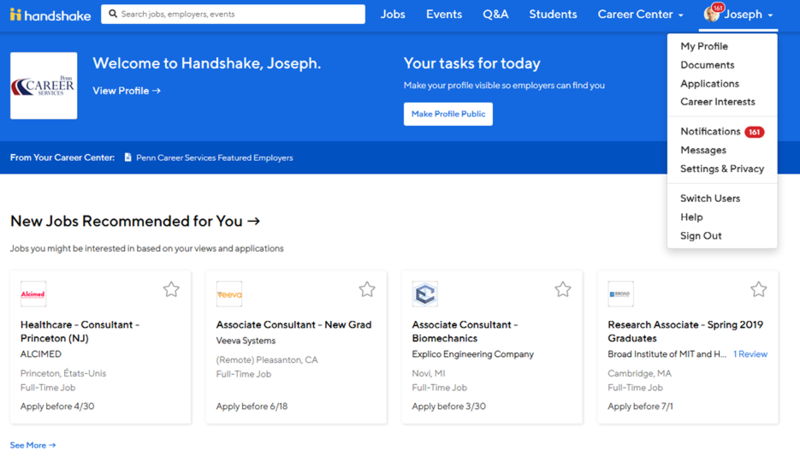 Once you complete these selections and begin exploring events, jobs, and employers, you will see recommended jobs on the main student log-in page based on your activity. 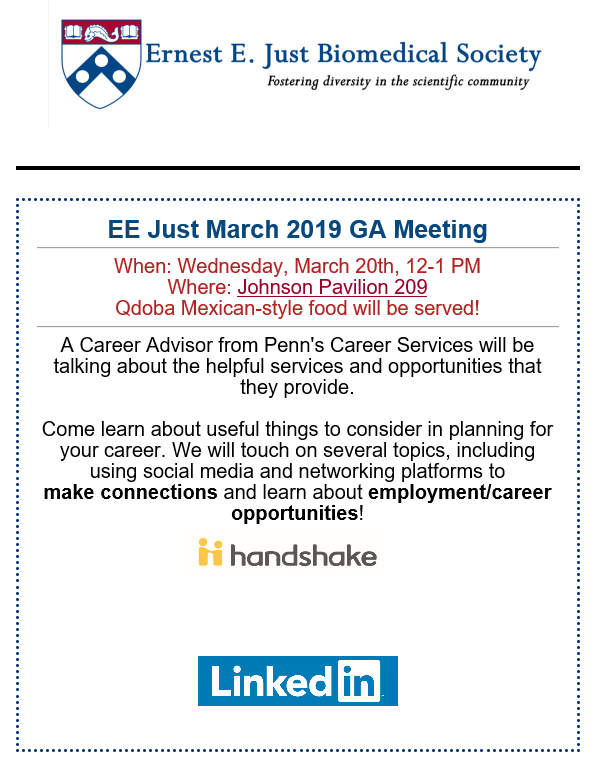 If you “favorite”an employer, you will receive an email when they post a job or register for an upcoming career fair. As a reminder, the BGS Career Development Site extends beyond this Career Blog and features a wide variety of resources, from a description of the Core Competencies developed through predoctoral training to websites for career exploration. Noteworthy among the site’s resources is the ‘Career Paths’ section, which provides a description of the profession, advantages of an advanced degree, key competencies, on-campus student organizations, first steps, alumni videos, and resources. Two new alumni videos have been uploaded to the site. 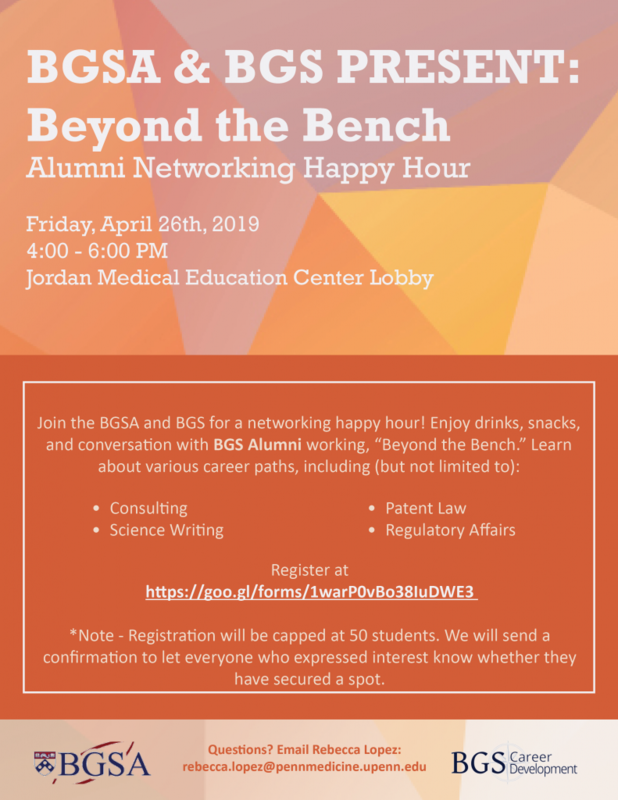 Aaron Gitler, Professor at Stanford University, and Josh Friedman, Director and Lead at Janssen Pharmaceuticals, Inc., share insights on their respective fields of academic and industry research. The BGS alumni describe their typical day, the things they like most and least about their chosen career, the typical traits and skills required, and much more. For most, the talk will be a revelation, and certainly useful. 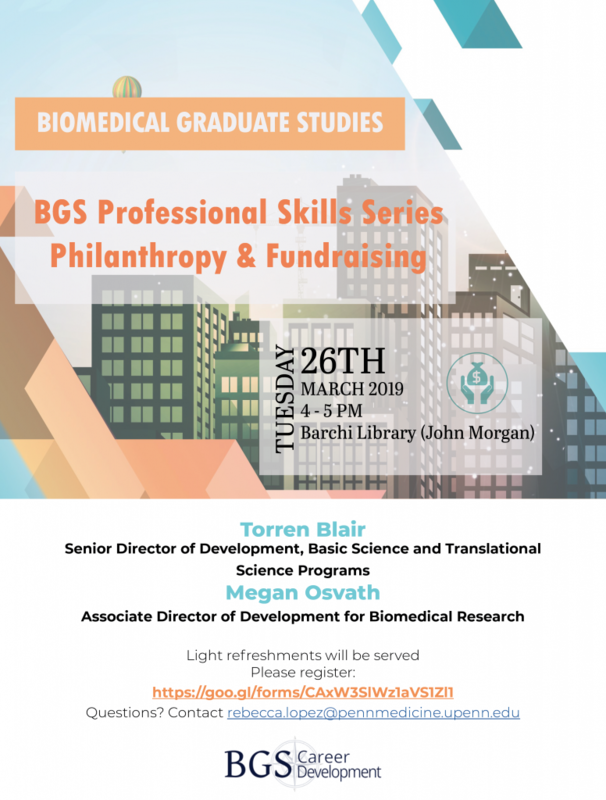 Philanthropy and other forms of fundraising are central to the growth of institutions such as Penn, but they are relevant as well to numerous, smaller spheres of nonprofit activity. Importantly, these activities embrace a number of skills relevant to a variety of pursuits: valuation of what we do, how to communicate with the public, creating win-win situations, and teamwork. 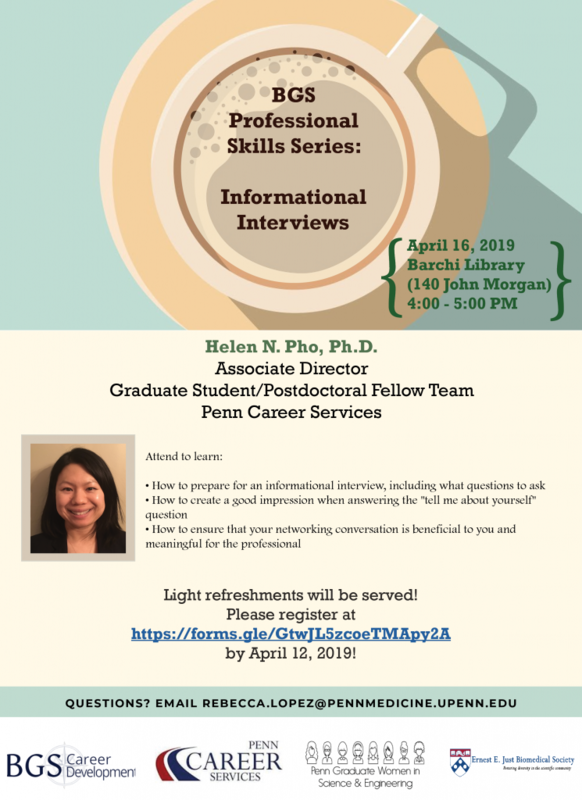 Please join Torren and Megan as they describe the objectives and skills required in a behind-the-scenes look at how these activities are conducted at Penn. “Scientists commonly use visual representation of data to show their results and ideas. In this seminar, Dr. Janet Iwasa provides an introduction to the field of molecular animation, and walks us through the process of using visualization tools to communicate scientific information. In her first video, Iwasa summarizes the common types of visualizations used in biology, explains the steps you should take to create a model figure, and summarizes key elements you should consider when creating your figures and models.